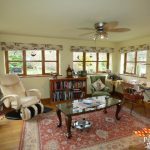 Large four bedroom detached family home set in a popular rural position surrounded by mature gardens and unspoilt views and benefits from a paddock and stabling. 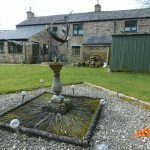 The property has been developed to provide a stone built garden room to the rear, a double garage with studio above and front entrance porch. 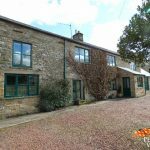 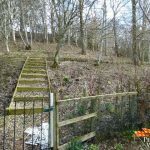 Set in a quiet hamlet within walking distance of a country pub and only 7 miles from Haltwhistle close to major rail, air and road links. 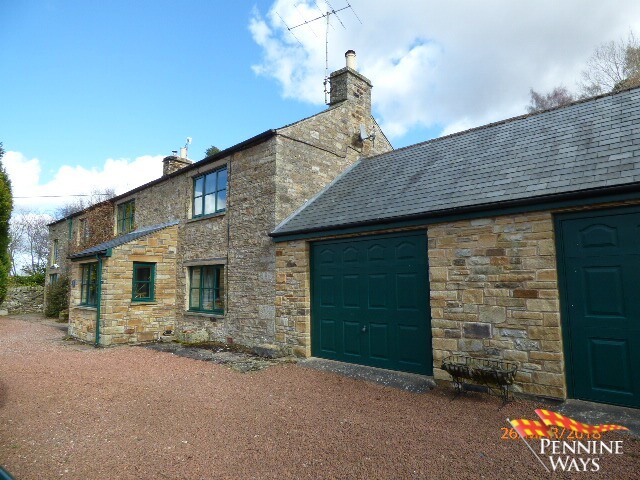 Stone built and set at the front of the house having 2 double glazed windows and part glazed door to driveway. 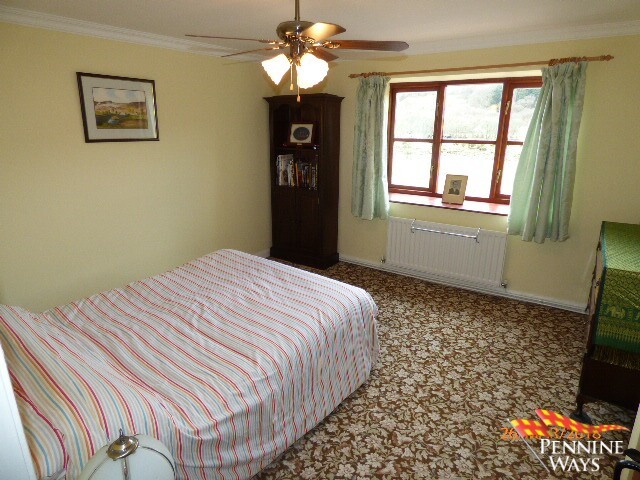 Solid wood floor, radiator and wood door to inner hallway. 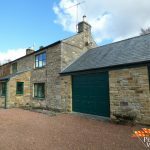 Newly built stone extension having windows to all sides which gives a panoramic view of the mature garden and woodland to the rear with glazed wood doors lead out onto the patio. 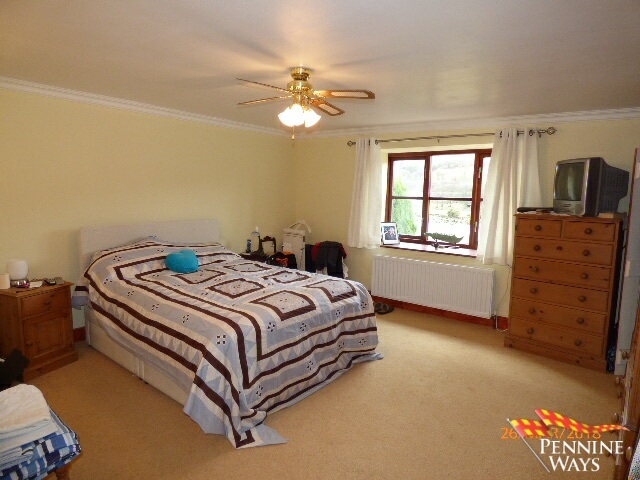 Solid wood floor and ceiling fan with lighting. 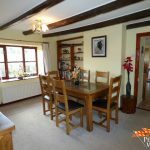 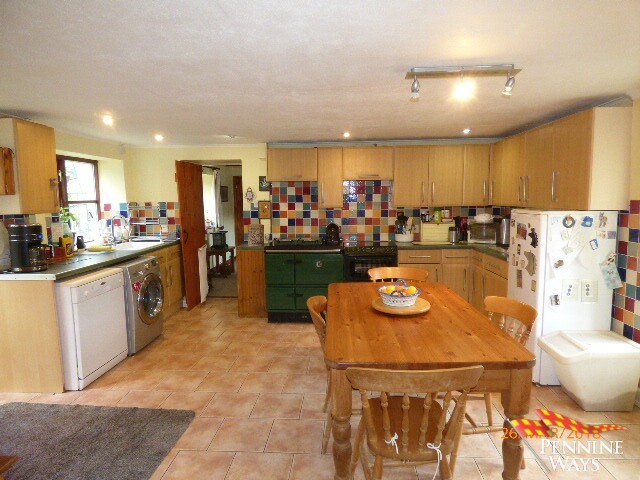 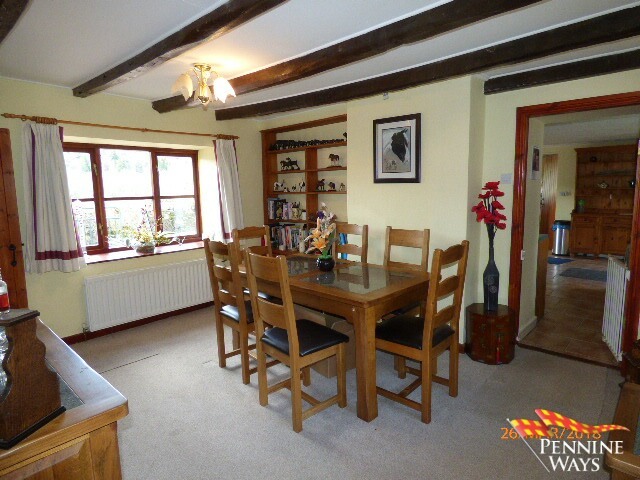 Set next to the kitchen, having exposed wood beams, recess with shelving and cupboards, windows to front and rear aspects and a large under stairs cupboard housing electric RCD board and space for coats and boots. 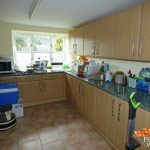 Having a range of wall and floor units, space for storage, three freezers and a tumble dryer, tiled floor through from kitchen. 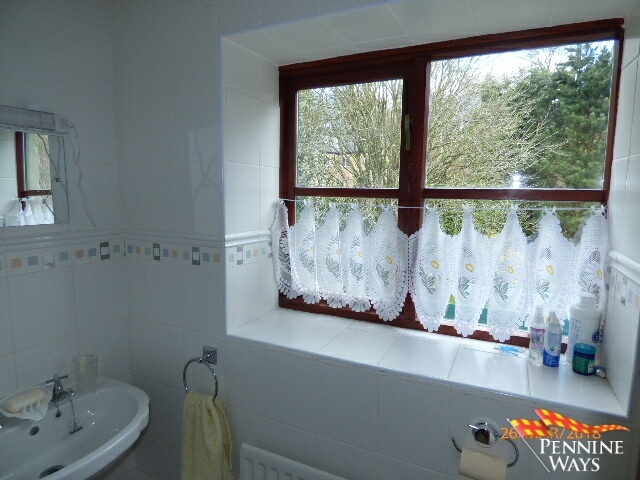 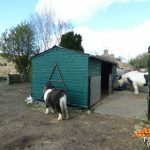 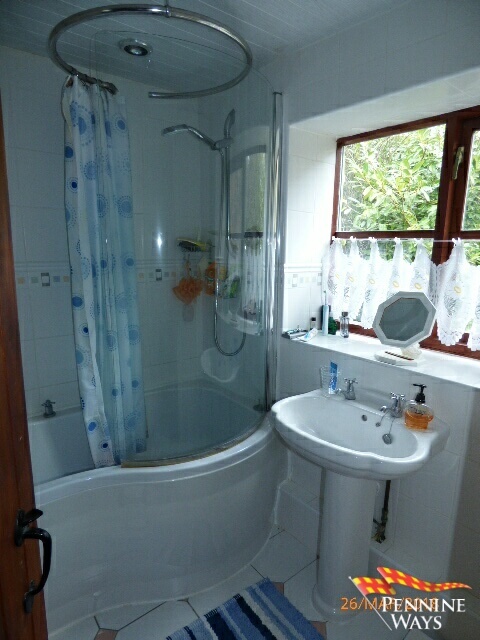 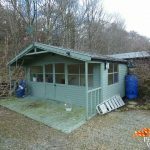 Large double room having, radiator, double glazed window to front aspect with unspoilt views and built in storage cupboard. 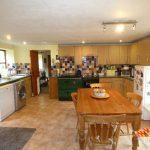 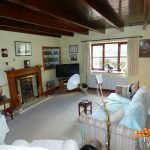 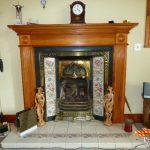 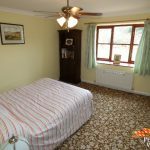 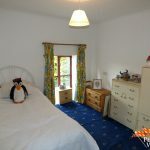 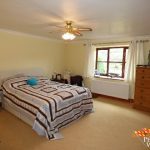 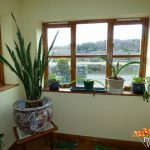 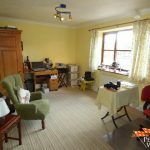 Good size double room having, radiator, fireplace with tiled insert and wood mantle and double glazed window to front aspect with unspoilt views. 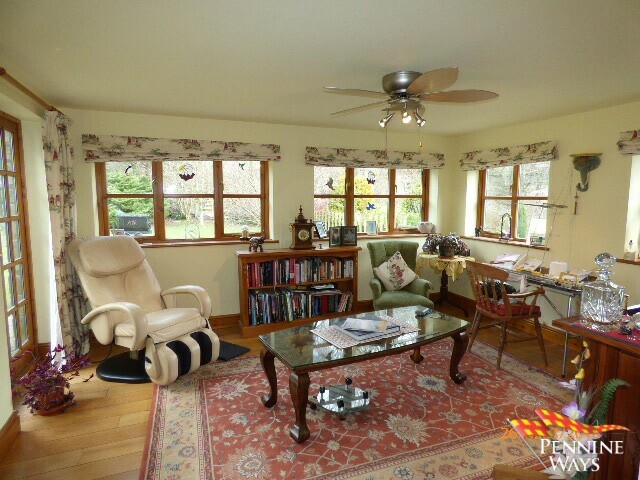 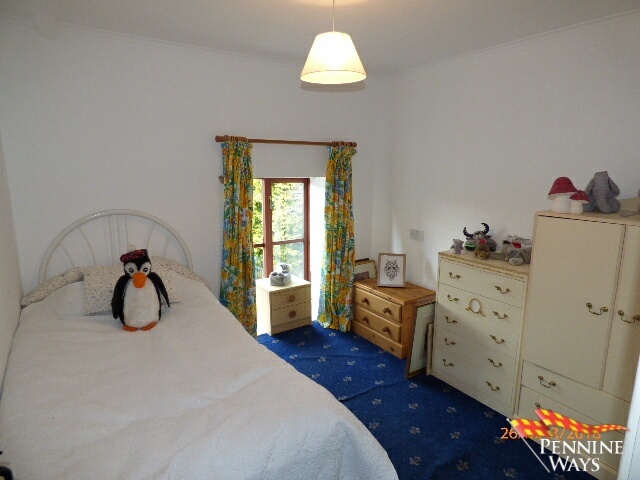 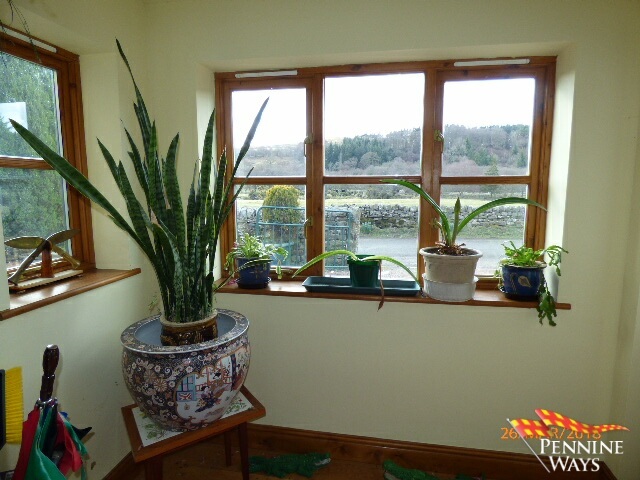 Double room currently used as a study having radiator and double glazed window to front aspect with unspoilt views. 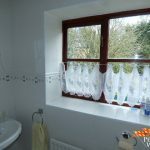 Good size single room having double glazed window to front aspect, radiator and loft access. 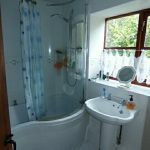 Family bathroom having a modern suite comprising, bath with shower over and curved glass screen, pedestal wash hand basin, complementary tiling to walls and floor, linen cupboard, radiator and window to rear aspect. 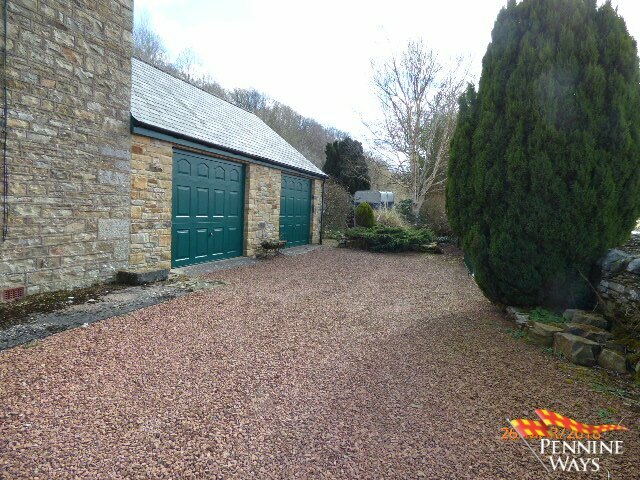 Newly built attached stone garage having 2 up and over doors, power and lighting. 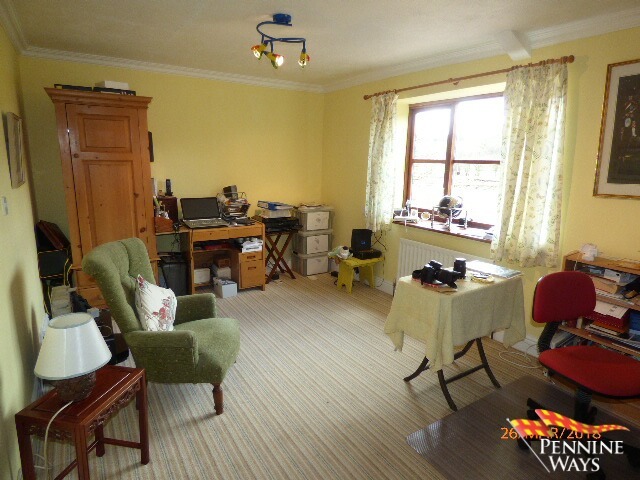 Loft stairs lead up to first floor studio which has two velux windows to the rear aspect and would suit a multitude of purposes such as an office, artist studio or a granny flat. 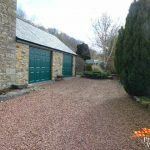 The house has a large gravel driveway to the front with three access gates leading around to the double garage and providing parking for several vehicles. 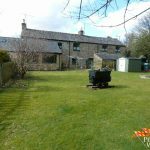 The garden is bordered by a dry stone wall to the front and side with access to the rear garden and front porch. 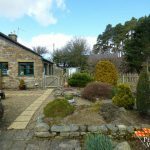 The garden to the house leads from the side with mature planting to the rear having paved patio areas and lawn, again with mature planting and woodland area to the rear boarder. 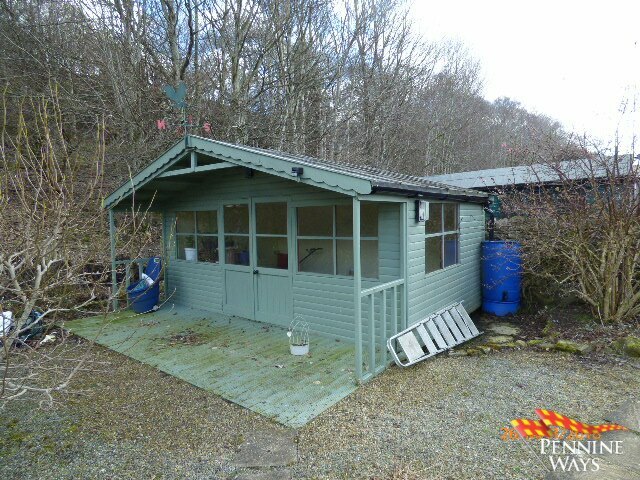 There is a useful stone outhouse/store with WC, pretty wooden summerhouse with electricity, three greenhouses and a pond. 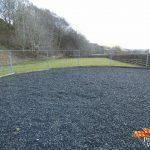 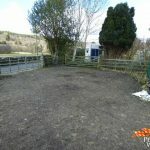 The paddock area extends from the main garden through an access gate and benefits from stabling, 2 hay sheds and a small arena. 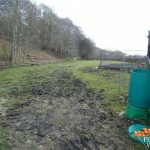 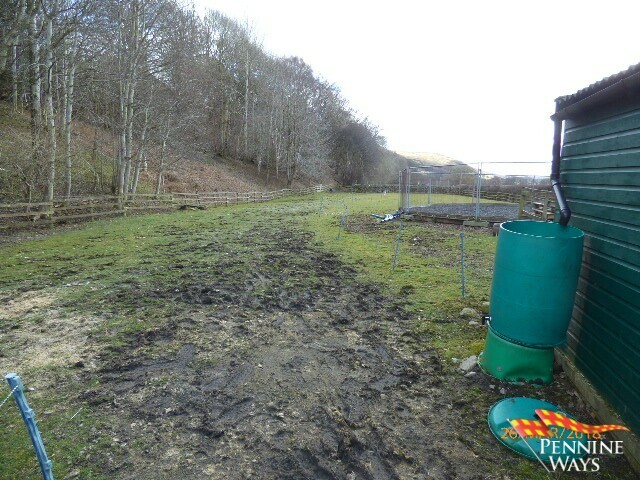 The paddock has a separate access gate along the lane and parking for horseboxes. 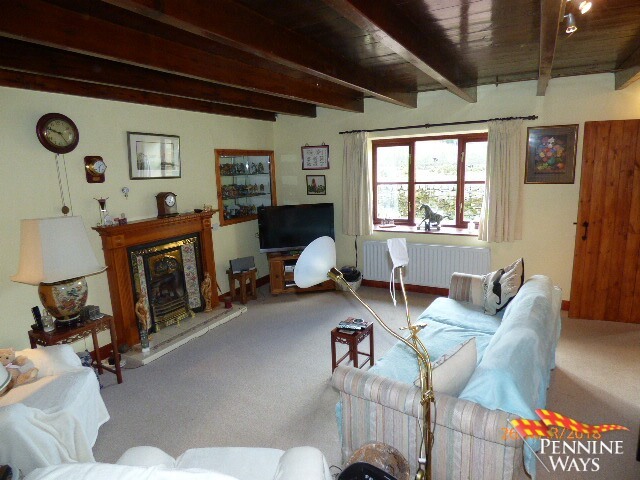 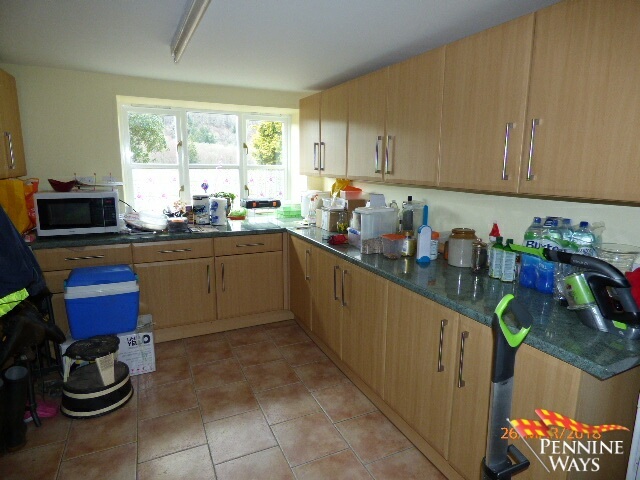 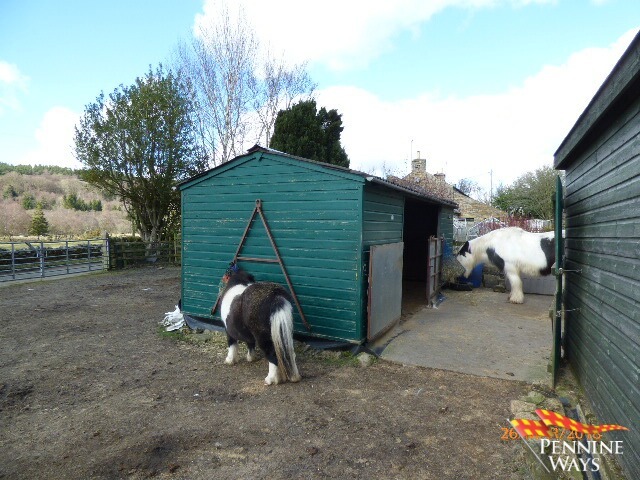 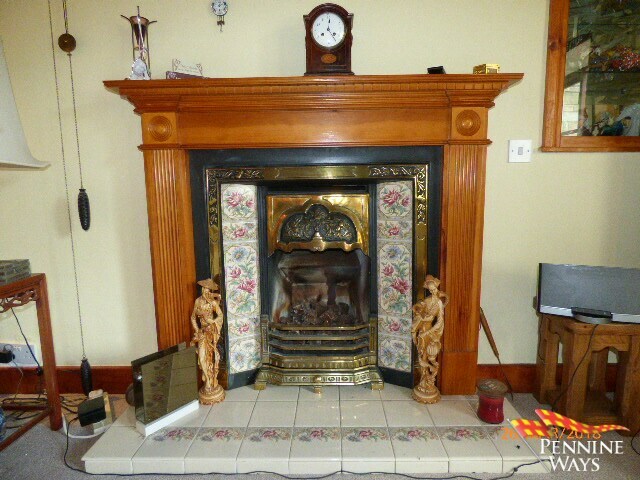 We are advised by the vendor that the property is freehold. 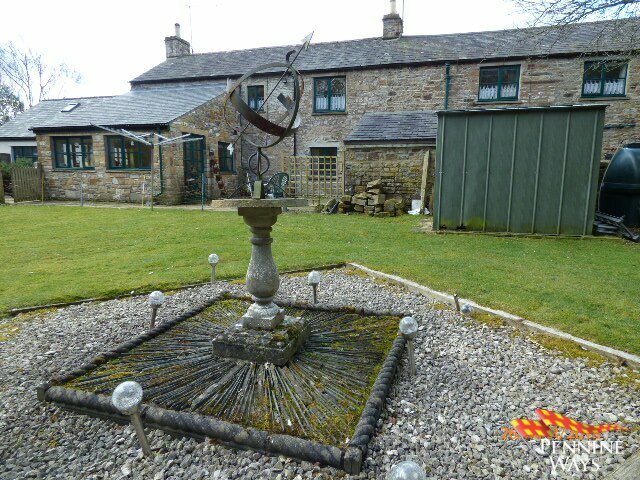 Eals is a small pretty hamlet in Knarsdale, Northumberland only 7 miles from Haltwhistle which has full amenities including banks, shops, doctors surgery etc. 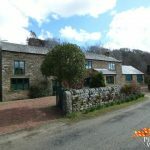 There is a local country pub within walking distance and a host of country walks and riding straight from the door on the lanes and along the river side. 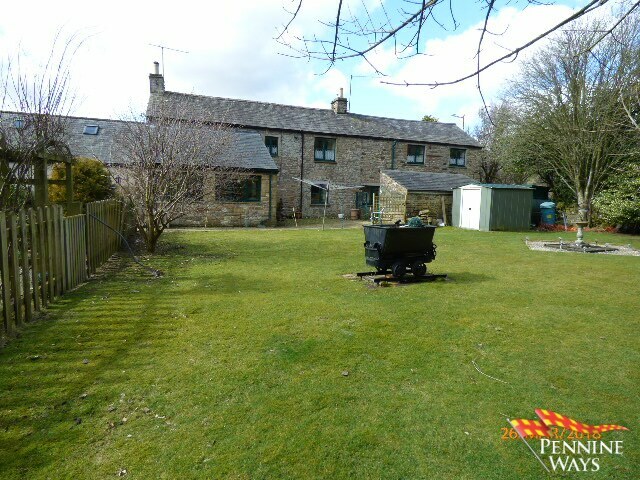 The house although rural is close to major rail, road and air routes having a train station in Haltwhistle which connects through to Carlisle and Newcastle, 15 mins drive time from the M6 and only 40 minutes from Newcastle International Airport. 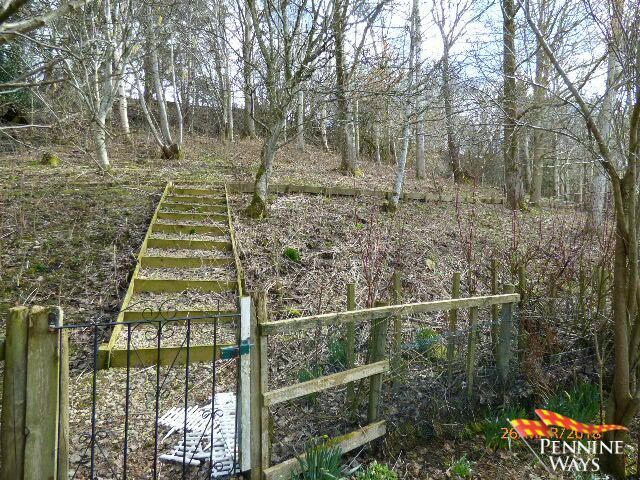 PLEASE NOTE the bridge at Eals is closed for repair for the next few months so a small detour via Coanwood is now in place. 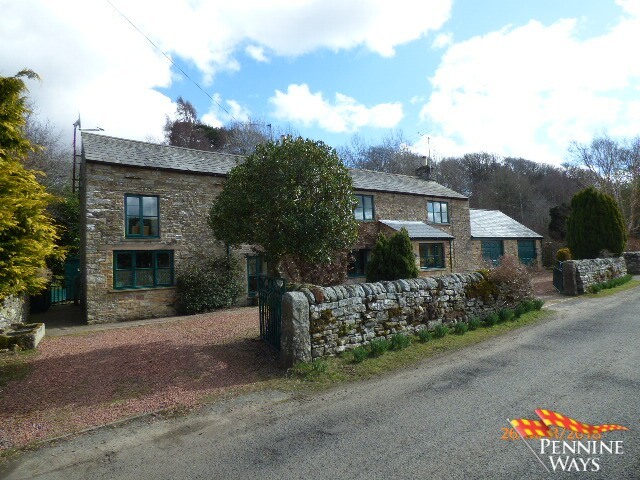 From Alston take the A689 Brampton Road passing through the village of Slaggyford. 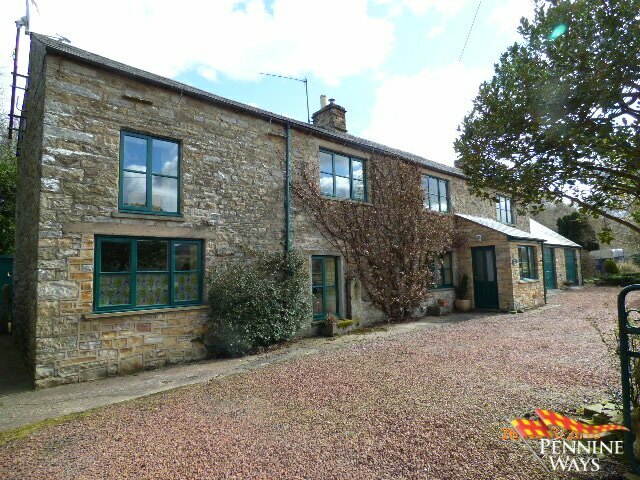 Take a right turn immediately past Lambley and drive up to Coanwood, take a right on the tight bend and drive along the lane and down Towes Bank which leads you directly down into Eals. 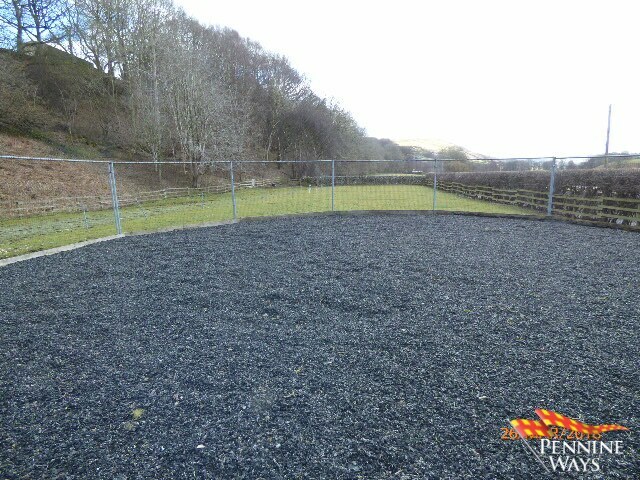 Tale a left at the small green with post box and the property is around the bend on your left. 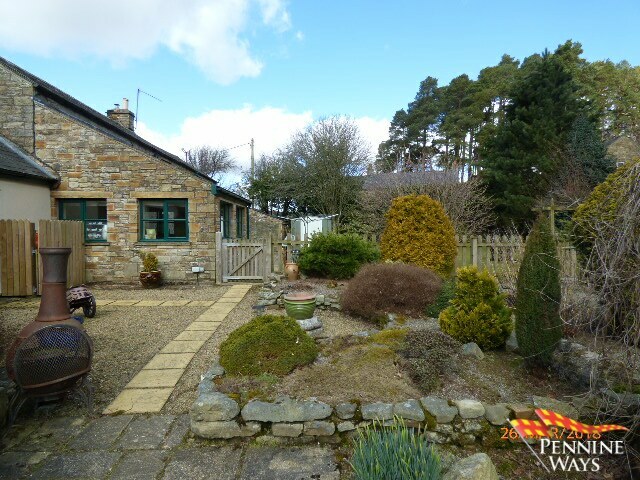 From Haltwhistle take the road to Alston past Park Village, at Coanwood go straight ahead at the tight bend drive along the lane and down Towes Bank which leads you directly down into Eals. 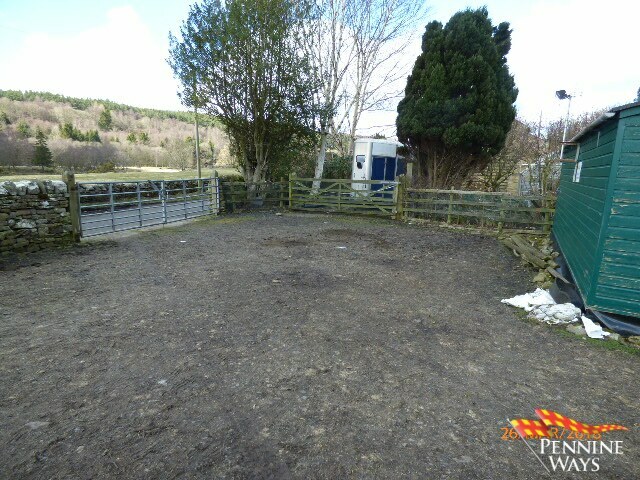 Tale a left at the small green with post box and the property is around the bend on your left.